MBA means Masters in Business Administration, a post graduation course that students pursue after their graduation. Well! In today's world, MBA degree is failing to create people who can actually master the administration of any business. Reasons are many. It might be because of the lack of expert teachers or void of practical opportunities or the huge syllabus only taught in theory etc. It was an opportunity for me to address such MBA students from one of the colleges from Bangalore by name Sheshadripuram College of Management Studies on May 2nd, 2013. I was invited by the faculty with a hope that my words could actually make a difference in the lives of those students. I had a huge responsibility to cater to as I was suppose to be addressing MBA students with myself having no MBA degree to my name. It was 2:10pm in the afternoon and I entered the class of 1st year MBA. 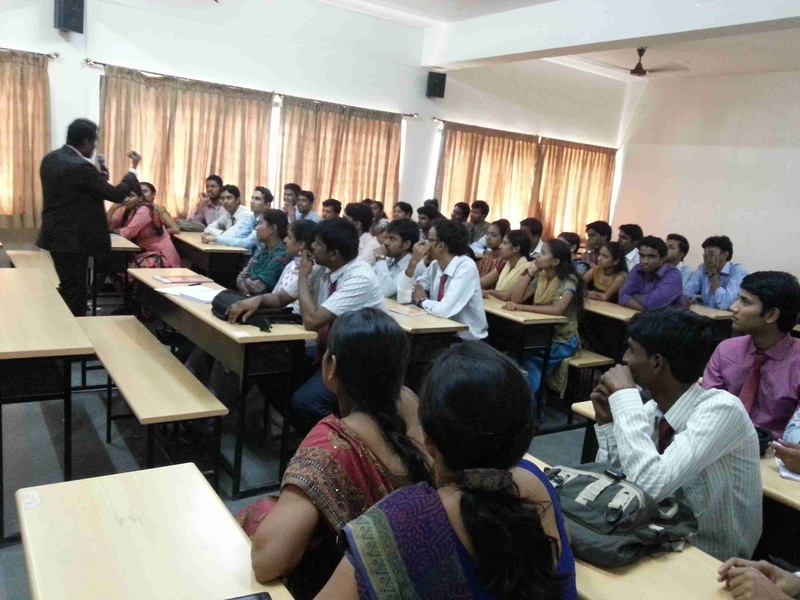 Akhila mam, the main co-ordinator for the event had made good arrangements and the director of MBA welcomed us. A boy read out my profile which wasn't updated recently and then I took upon the stage. 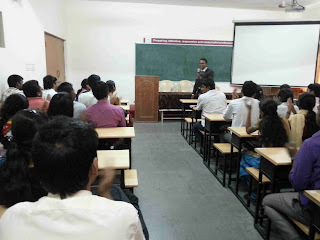 After thanking God, parents and the students, I entered the topic of MBA. 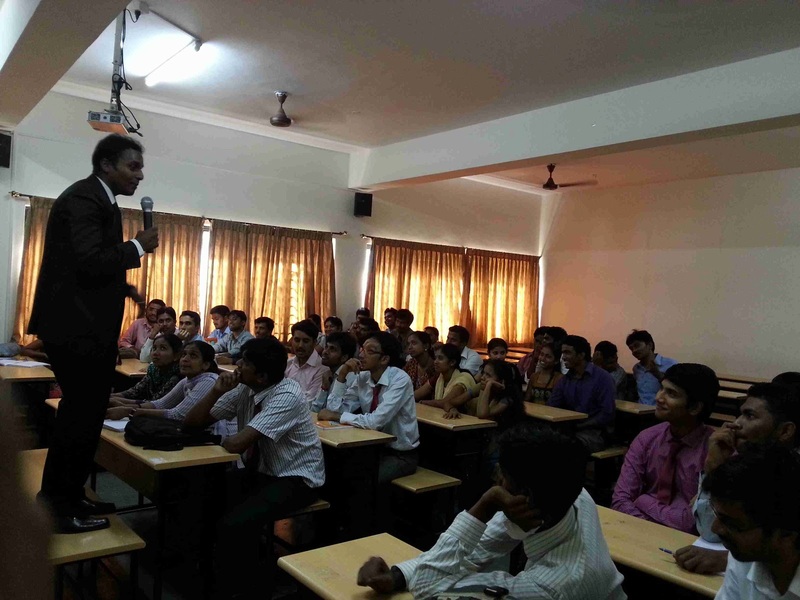 When I asked the students as to how their MBA was going, their replies were something like these,'boring', 'hectic'.... When I asked them if they were actually enjoying their MBA, the answer was silence. Some of them had no idea as to how this MBA degree would offer them any further scope in life. Some were pursuing MBA just for the sake of a post graduation degree which was a disheartening fact to notice. Instead of supplementing their qualification, MBA had become a supplement that they took to improvise their qualification credibility. Through good amount of humour, I could interact with the students and discuss about the issues that were affecting them. Then I conveyed the new meaning of MBA which actually turned around the cards. M means 'Make your dreams come true'. B means 'Break your fears' and A means 'ACTION'. Taking action to break all your fears in order to make all your dreams come true should be the philosophy of MBA. Lots of examples were shared and a new trigger to look forward for a enjoyable and successful life was given. 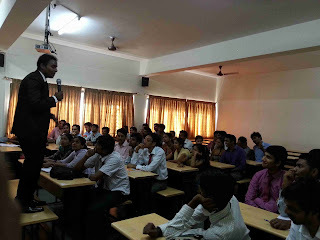 I could share my own testimonies as to how I became one of the leading bloggers with my efforts for one whole year, how from a student who couldn't converse properly in English during Engineering, today, I can take speeches in 5 different languages and have become a multilingual inspirational speaker. I wanted to present my own life stories because I was the live proof in front of them.